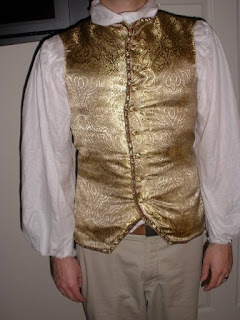 Fashions of Time: Waistcoat Buttons! It's a bit tight...eeek! I will figure something out...our redo altogether!!!! lol Still working on the shirt. Pocket flaps will come later after breeches.